Popular! 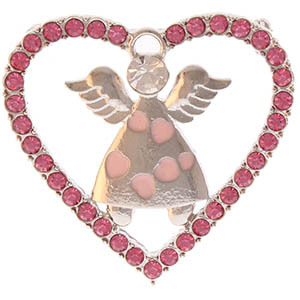 Pink Rhinestone love heart pin brooch with angel wearing a heart-covered dress. This very cute pin brooch is Silver in color and measures 1 1/4 inches tall. This pin brooch makes a wonderful gift Valentine's gift for someone special in your life like your daughter, granddaughter or your significant other.